The Most Practical, Lightest, Most Comfortable, Insulated, Critter-Proof, Durable, Hunting Blind On The Market. If you have questions or just want to hear us brag about our products please call (269) 277-9200, visit www.UltraComfortBlinds.com, or click here to email. Finally an affordable way to safely store and age your harvest. 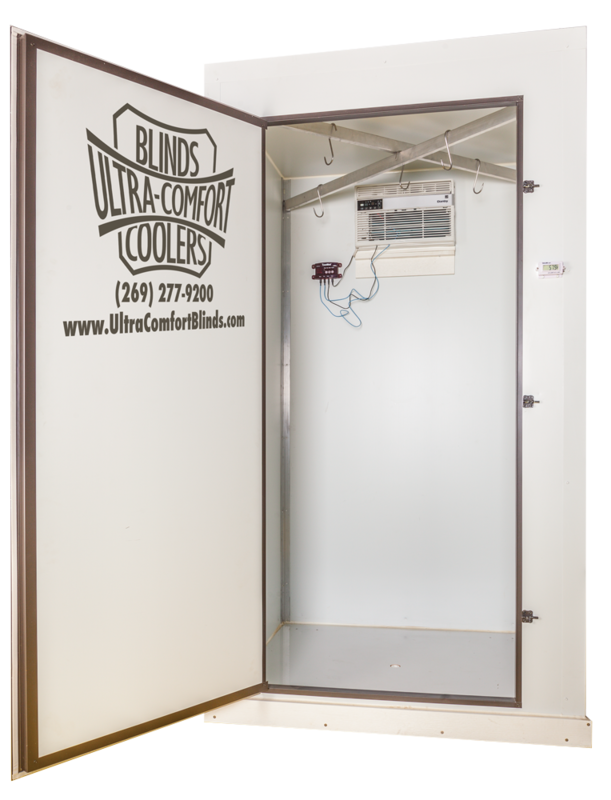 Our Cooler Is The Most Practical And Affordable Way To Safely Store And Age Your Harvest. Questions? Ready to order? Contact us today. Hunting Blinds & Coolers Brochure!